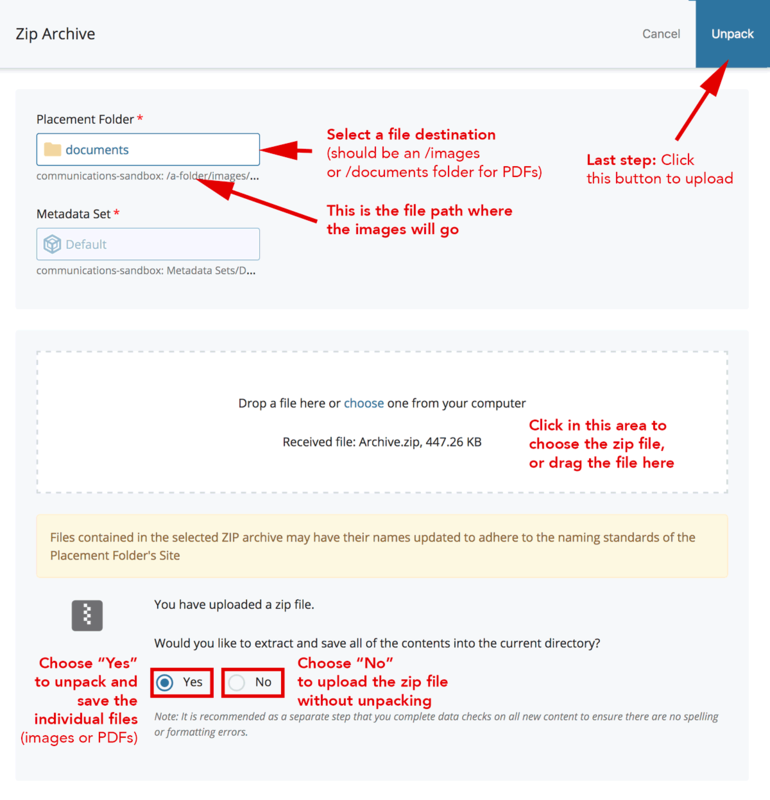 Multiple files, such as images and PDFs may be uploaded to the CMS at the same time by simply selecting multiple files or by uploading a zip archive file. Watch a video tutorial at the bottom of this page. 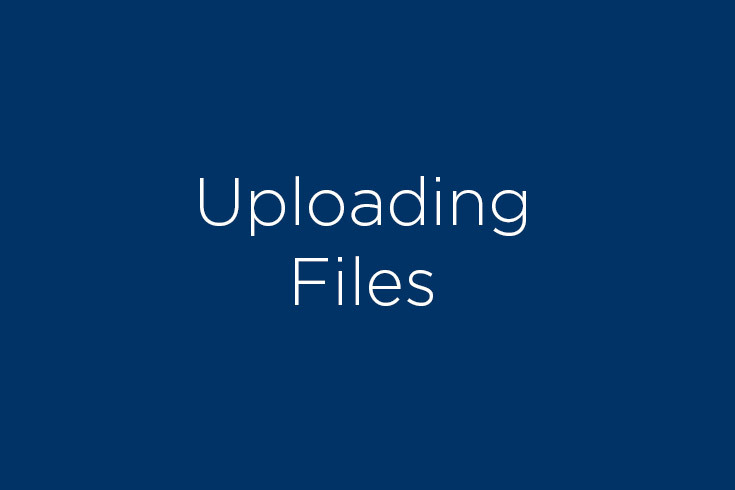 Simply follow the instructions on the Uploading and Updating Files page, but instead of selecting or dragging a single file, you can select or drag multiple files. This works with both the "Browse" method and the "Drag and Drop" method. It works with PDFs and image files. After the files upload, you will see the screen below, then simply click Submit. As an alternative to uploading individual files, the system will accept and automatically unpack a compressed .zip file. On your computer, create a zipped archive of the items you wish to upload. The name of the file should be Archive.zip. 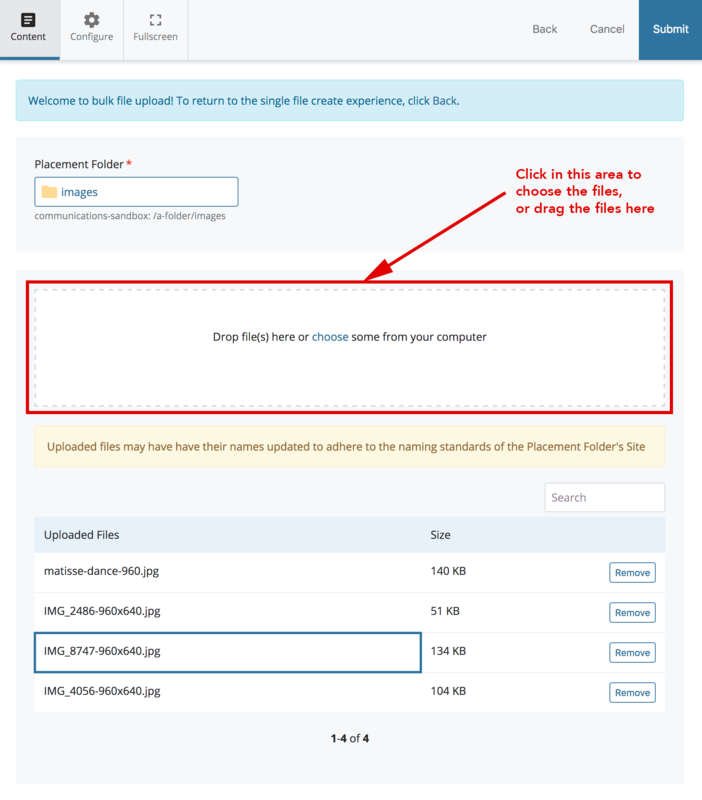 In the CMS, select the folder in which the items will be placed. From the toolbar, select (+)Add Content > File Upload as above. Select the Archive.zip file from your desktop by either dragging and dropping it or by browsing. Choose Yes under "Would you like to extract and save all of the contents into the current directory? You will see a Successfully unpacked message if the files are uploaded correctly. ﻿This video demonstrates how to upload two image files into an images folder. 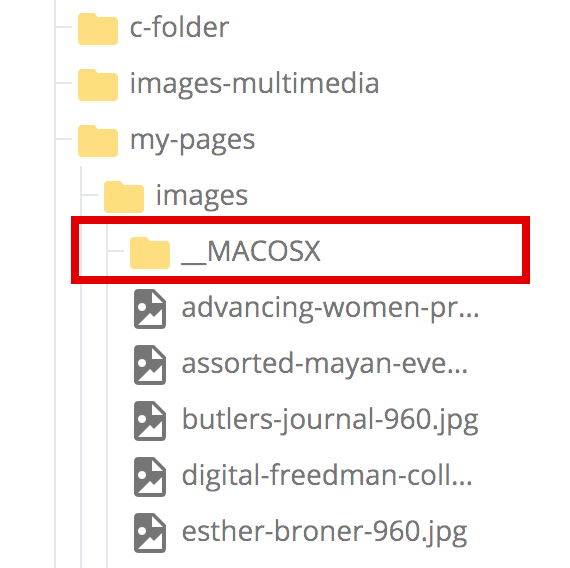 It also shows how the system corrects file names that do not adhere to asset naming rules.